Does your company have orphaned applications, or legacy software that is no longer supported or maintained by vendors or by IT staff? We specialise in conversion of legacy inhouse systems to web-based applications that can be accessed through the internet. Does your software need to be re-written, re-engineered, updated or migrated to new platforms? Would you like to use Internet Technologies to enhance an existing application? 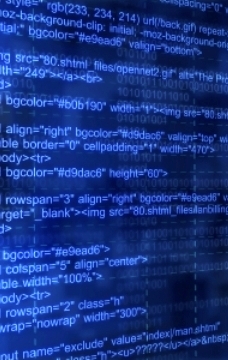 Do you need a company to revitalise and support your bespoke software applications? We specialise in conversion of legacy inhouse systems to web based applications that can be accessed through the internet using a password. This allows you to see your company data from anywhere. eg You can build a quote whilst in a meeting with a customer. Online Support Call logging and reporting. Costings for Quotations converted from VisualBasic, when the source had been lost.